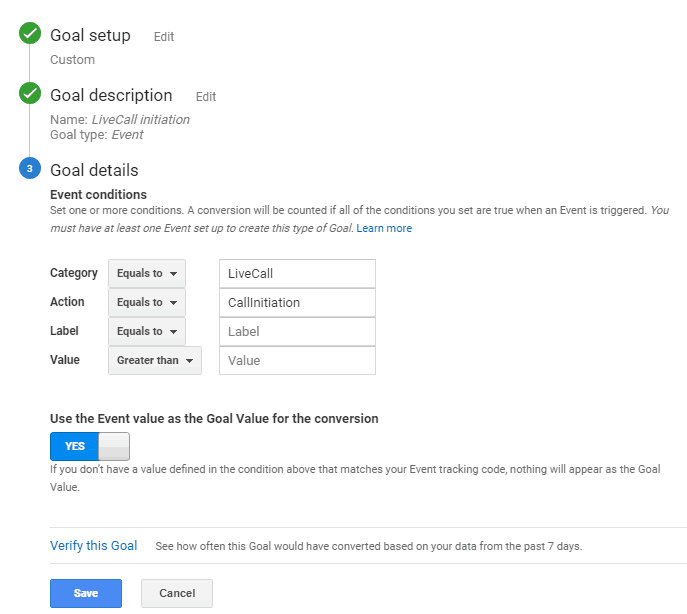 How to track conversions in GA installed throught GTM? 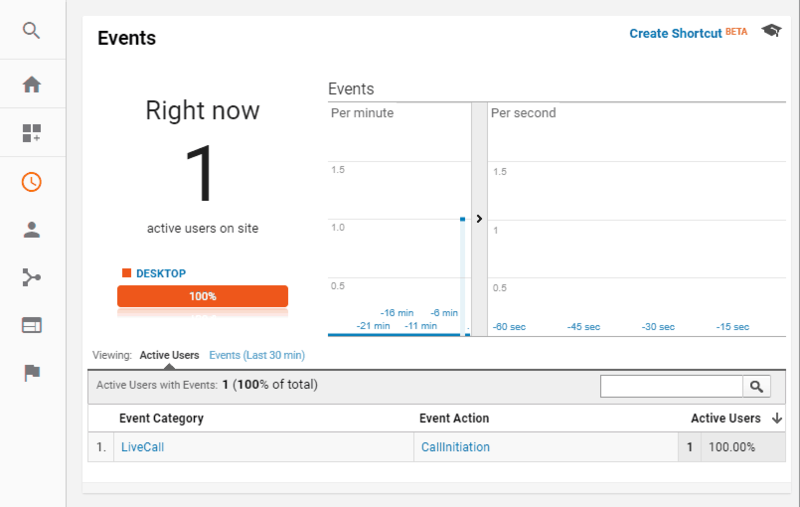 By tracking LiveCall conversions in your Google Analytics account you&apos;ll be able to optimize your lead generation funnel and marketing spending. In this short guide I&apos;ll show you how to kick off. As strange as it may sound, there is a difference how you have your GA installed. 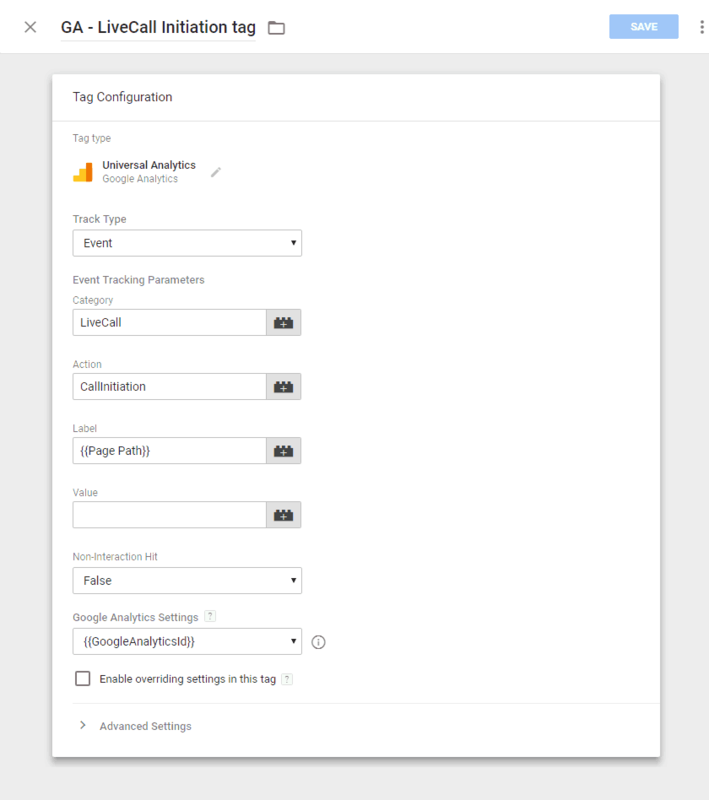 In this post I&apos;ll only deal with Universal Google Analytics code that is installed throught Google Tag Manager (GTM) on your website code. Click Configure built in Variables, tick all checkboxes next to Clicks. 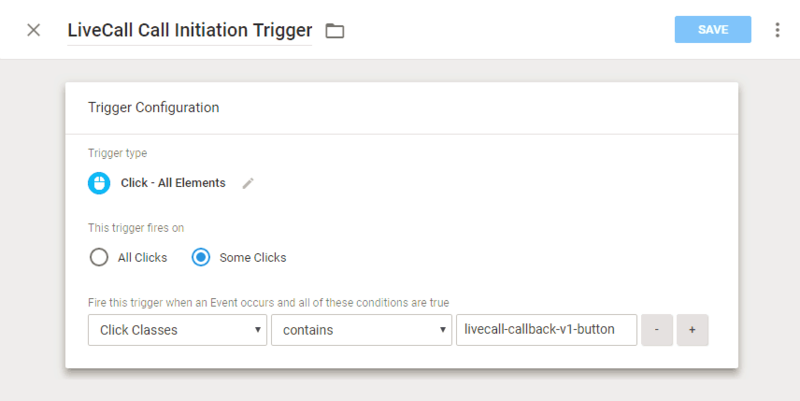 Go to Triggers >> New >> "LiveCall CallInitiation"
Go to Tags >> Create >> "GA-LiveCall Call Initiation tag"
Note: When editing the tag you also need to select a trigger.